Everyone needs a 500 series. The 500 series format (or lunchbox) has been around for some time (to be precise: 1978 with the launch of Datatronics first 10 slot powered rack) but it’s only relatively recently come to prominence. Maybe it’s because budgets are getting tighter or maybe it’s because studios are getting smaller but the lunchbox seems to be de-rigeur in a lot of setups these days. 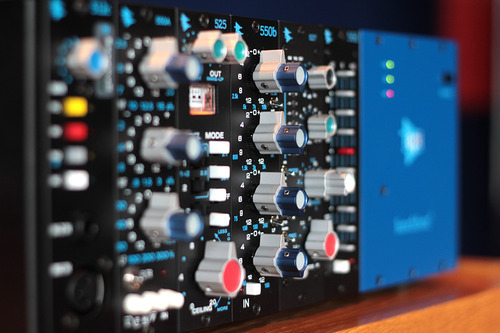 It’s good news then that there are tons of manufacturers around making interesting, high quality audio processors for you to slot into your lunchbox. These range from conventional compressors to weird and wonderful sonic manglers like the Moog analogue delay and ladder filter. Check it’s capabilities in this vid! 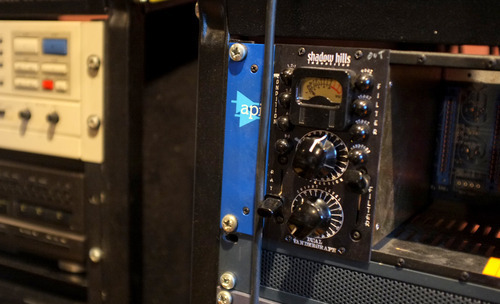 The dons at Radial, who have been making high-end problem solvers and other audio accessories since 1991 have also been pretty instrumental in the lunchbox game and they have a collection of compatible equipment including the incredible Komit compressor. Warm Audio are deserving of your attention too. 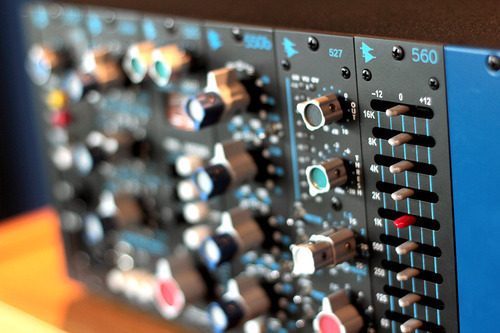 The WA12 microphone preamplifier sounds lush and, as you would expect, errrr, warm so, it’s perfect for adding a full, rich tone to your vocal processing. 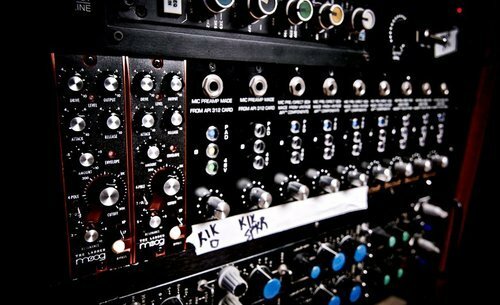 And, of course, we couldn’t talk about 500 series without a tip of the hat to the godfathers of the format: API. They were building modular consoles way back in the 1970s and they implemented the VPR alliance, which is our way of saying that these boys know their onions. 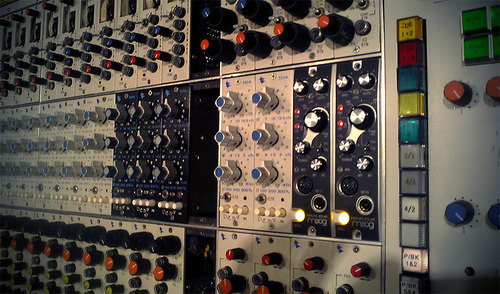 Anyway, you should all be checking the API gear out. It’s the nuts. All that and we haven’t even mentioned the plethora of DIY projects and other nerdy stuff out there for the lunchbox…. It’s been that Long I’ve forgot what number I’m at. But in that time I’ve been learning to put pictures up. It’s the full audio visual experience. Well for me anyway. I’ve been inspired to get back into the blogesphere of recent, as I’ve heard about a couple of people that have actually bought records they have read about in this here blog. Mental ! But what’s more mental is that they actually seem to have liked them. I was going to try and get a wee MBRBE wax in about the hot current dancing anthems that are making me strip down to the under crackers, don the headphones, close my eyes and go Paisley mental, before we hit the wedding season.. of which there are few this year. I’ve got 3 in 8 days. 2 in 1 weekend, and most are requiring some tunes.. so that will be the ploughed musical furrow for a few months. Watch this space. We’ll see if your so keen to buy the tunes then eh. That will be the Back room test ! Quite looking forward to sharing some of the wedding secret weapons actually.. some of my favourite records. Back to the task in hand. Listening to records. The wife is away on a hen doo for one of the aforementioned weddings. Fiona’s managed to wangle the girls away to Amsterdam. The guys are going to Tom’s in Loch Lomond. Well not actually in Loch Lomond, well maybe a few, but it will just be a musical lockdown. Perfect. Right looking forward to that. 2 days of good records. Apart from mine of course. So with the wife away, I have been doing all the things I’m not allowed to do. Like working on my scooter in the hall. She’ll never know. She doesn’t read this blog. Oh aye records. Well I canny seem to get off the love and wedding vibe, and started to record some tunes to send over to the girls in the Dam. If you’re interested, some of them were, Gallifre and Mondee’s Don’t walk out on Love on Gherkin, Blake Baxter’s Your All I ever Wanted, Karen Young I’m Hot for You, Shalamar Right in the Pocket, a bit of Church action with Moodymann’s Ya Blessin, and Fiona’s fave Oh Romeo These Mammery’s, sorry Memories from Bobby O. I’m Blessin You’s.. except I better hurry up and get it to them. Which probably won’t happen tbh. Another one strictly for my own enjoyment no doubt. So aye tomorrows music today. New 3 Chairs promo sounding good. Available soon in way too small quantity. New Dixon Ave Basement Jams, Marquis Hawkes. DABJ-1204. That Higher Forces is pretty killer. Been rocking my back room jams (sounds a bit dodgy) for quite a while now. The privilege’s of the white label. Now released..
Another RAD associated label, well not associated really, as it is ours, is a wee series of releases we are pressing, usual white sketch with a stamp, and by hot talent that make good records, and we want to release. How’s that for a concept for a label ! Thinking outside your box. No artwork or names. But you may get a clue in the catalogue numbers. Or just by listening to the music even. RAD-AN1 being the first. Maybe I’ll give you a bit of inside info, to say thanks for reading this far. Without giving too much away.. if you’re in a club and you think you see Justin Timberlake’s wee brother dropping some quality House jams, then it may be this man. While we are on tip of self promotion.. not really our style, but I’m going to roll with it for now. Like buses. The other night I had a tune in my head, and was doing the preverbal nut in as knew it so well. The more I sang it to myself, the better it was getting. I knew it was a big record for us, that could have been from anytime in the 15 to 2 years. Then I got it. Turns out it was on our own Dalriada label, which is from not a kick in the arse off about 15 years ago. Stands the test of time, at least in my heid, which I suppose was the main pre requisite of the labels concepts. It’s about time we got a bit more active on that front. Watch this space as they say..
That’s it for the licking your own arse show for this evening. I better go and get the wife sent over yon recording for the hen party, before they come home, and I’m still standing here listening to music. Hopefully not in my Y fronts, and headphones on. I’m sure there’s an urban myth in there somewhere. Oh before I go.. and while on a promotion tip, here’s an avenue of PR we were exploring a few years back. Didn’t catch on though. Respect to that man. I think I took the tattoo’d promotion a bit far, when I got a flyer for a gig at 69 tattoo’d on my chest. Orland Voorn special guest, 19.11.97. Timeless I thought. Until the day after the gig. It wasny that though.. he never turned up ! Might be about time to stop typing shite. 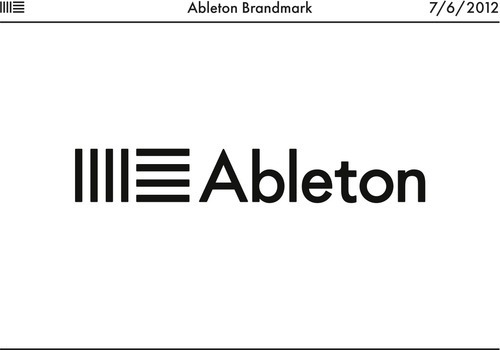 We’ve been fans of Ableton since day one. It’s no exaggeration to say they totally revolutionised the way the people use computers for making music when it was launched back in 1999. 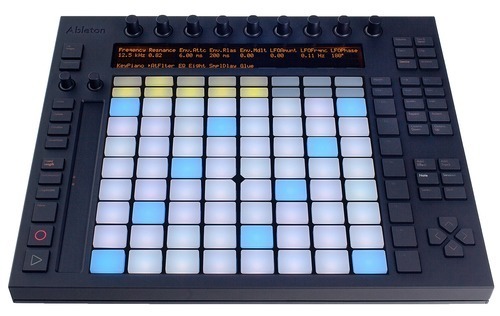 It would also be fair to say we’ve been waiting a little while for this latest update and Ableton have got a lot riding on it. Expectation is pretty high and on first tests we’re pleased to report we’re pretty chuffed with it. The browser is waaaayyy better than it was previously (with extremely slick link through to MAX/MSP), the time stretch/pitch shift is audibly improved, there are more effects and they all sound gallus, the user interface has the same streamlined, slick look we’re used to and, perhaps most importantly, the new audio to MIDI function is absolutely incredible. 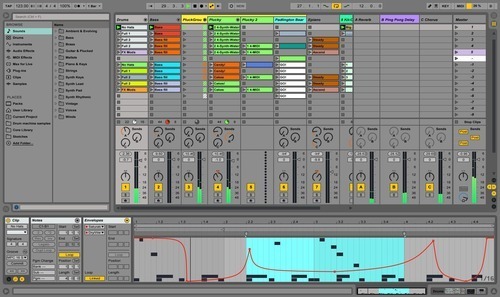 Basically, it’s what we’ve come to expect from Ableton: simple, effective and incredibly usable software with absolutely unparalleled workflow. 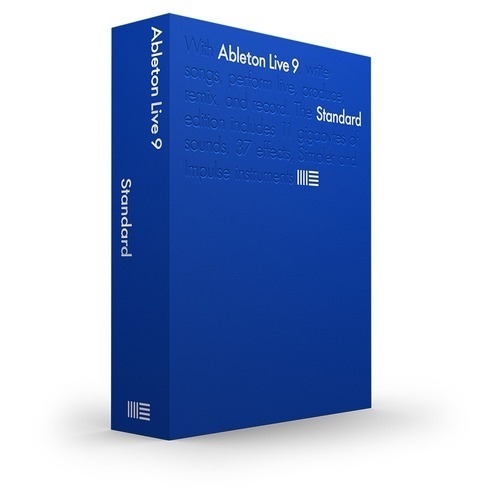 You can order your copy of Live 9 here or order you copy of Live Suite here. ….and we haven’t even mentioned Push yet….